This subliminal MP3 can be listened to anytime and anywhere because all your conscious mind hears is the music while your subconscious mind listens to the positive and beneficial suggestions for easily remembering and recalling details. Just by listening to music you will be able to sharpen your recall skills and release any blocks to superior memory and fast recall. Exam Success this hypnosis MP3 is only 16 minutes long and allows your subconscious mind to become alert after listening. Pop it in just before your exam to release your anxiety so you are relaxed and confident. Get the marks you know you can! 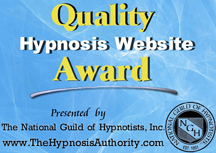 Improved Study Habits this hypnosis MP3 is 17 minutes long and allows your subconscious mind to become alert after listening. It contains a built-in tutor to help you achieve success through better study habits. Use your subconscious mind to make school easier and more rewarding. Confident You! A hypnosis MP3 that allows you to either go to sleep or become alert after listening (choices ending) and gives you confidence and strength to be the person you know you can be! Intermix the MP3s and play them often…your subconscious mind loves the repetition and will follow through and give you the stress free and confident educational experience you are seeking, no matter what your age!